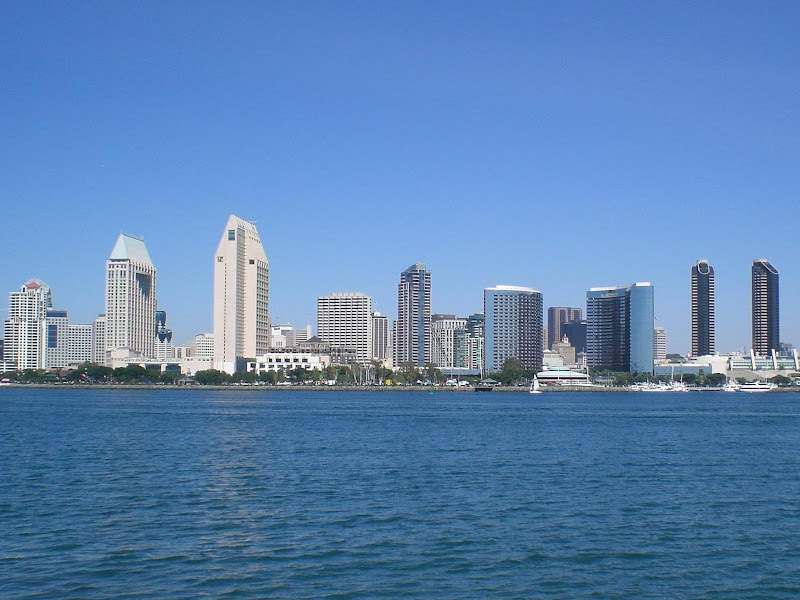 The Amtrak Century is a popular ride from Irvine to San Diego, on which riders return in an Amtrak Surfliner party train. The course starts at Irvine Amtrak Station and gradually ascends to Foothill Ranch. From here it descends to San Juan Capistrano and follows the Pacific Coast Bicycle Route through San Clemente to Camp Pendleton Marine Corps Base. The ride then continues on the shoulder of Freeway 5 to Oceanside. 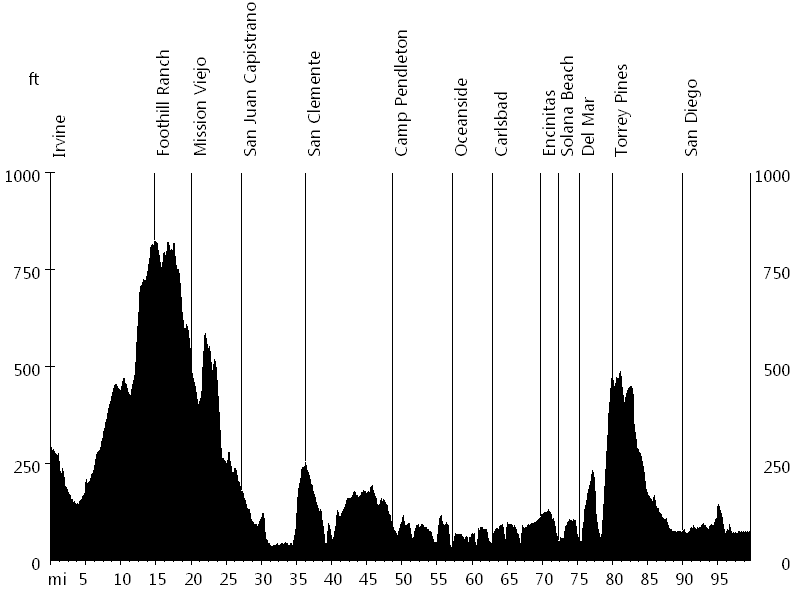 It visits Carlsbad, Encinitas, Solana Beach, and Del Mar, before climbing Torrey Pines. The route then follows the bike path down to San Diego. Finally it passes Spanish Landing Park, which offers great views of the skyline, before finishing at Santa Fe Station. This was Sandra's first century, congratulations. Thanks to the Orange County Wheelmen and all volunteers for an outstanding event.